Why do we feel fear? For years, a part of the brain called amygdala has been implicated in this emotional response. This region links memories with emotional responses, one of that may be fear. A patient (known as S.M.) with dysfunctional amygdalae on both sides of her brain has been known to show no fear in response to various fear-inducing stimuli, including life-threatening traumatic events. Another stimulus that is known to evoke fear is carbon dioxide. Inhaling this gas turns on a protein that in turn plays a role in fear and anxiety. How would patients with damaged amygdalae react to this stimulus? A team of researchers at the University of Iowa tried to find out the reason. The first image is a scan from a normal patient and the next three are from patients with damaged amgydalae. The area marked in red shows the lesions present in their brains. To their surprise, they found that 3 people with lesion in their amygdalae (let’s call them patients) showed a greater degree of panic than the group of patients with normal amygdalae. 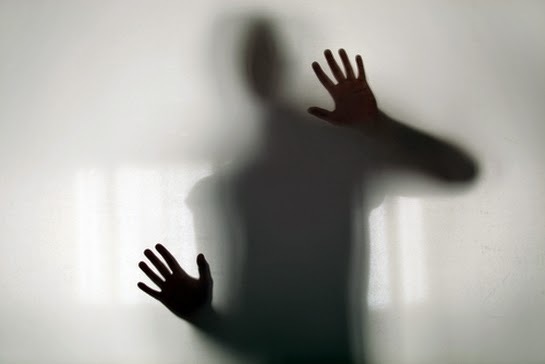 The patients described having experienced emotions they had never felt before, with their descriptions residing well under the category of ‘fear’. Clearly, the results show that the amygdala isn't an absolute necessity for fear. Anticipatory responses to the inhalation, such as an increased heart rate before inhalation were shown to be significantly increased in controls when compared to patients. The results led the authors to believe the carbon dioxide activated a previously unused pathway in patients with damaged amygdalae. One possibility is that most stimuli which normally induce fear are external—perceived visually or auditorily—, whereas inhalation of carbon dioxide represents a physiological, internal, change that doesn't need processing by the amygdala to generate the fear. Another conclusion is that the amygdala might, to some degree, inhibit fear, as the degree of panic attacks was milder in the control group. Fear is an important survival mechanism and this experiment gives important clues to its origin. You can read about the full research here. Thanks for posting this valuable topic and I liked the design of your blog. I guess fear also comes from our experiences so even people who don't exhibit fear because they've been through a lot have them since they are drawing from all those experiences. That's quite a complicated research and yet of great value to us. Thanks for sharing this very informative post about fear! This is truly informative. I guess that is why we feel more secure, fresher, calmer in a place with clean air.